AGC 2015 contest – your chance to win a free pass! 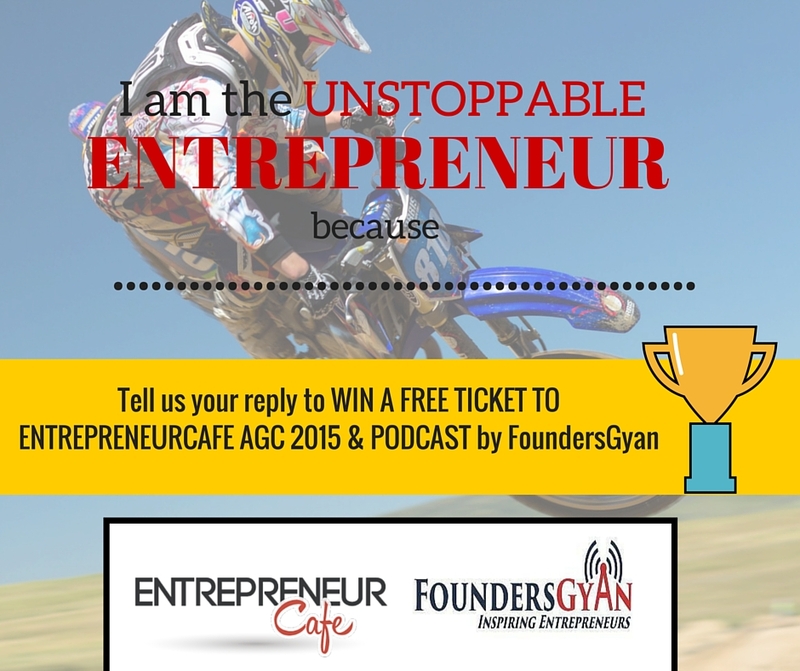 The prize is a free pass to the AGC 2015 event (valued at Rs.5499 – only pass, no boarding or travel expenses) + A featured podcast on FoundersGyan which will be released on the day of the event, i.e. 5th Dec!! Check out more details on the AGC 2015 event page – trust us, this is one event you don’t want to miss. And the icing is that you can get to participate for free and get bragging rights! Good luck, winners will be announced on 6th Nov. So what are you waiting for? Put your thinking caps on, answer the question and you’ll be on your way to both AGC 2015 (#AGC2015) and a spot on FoundersGyan! If you’re not a founder but know one, ask them to participate in this AGC 2015 contest (#AGC2015). They may just be on their way to AGC 2015! Acknowledgements: Thanks to the good folks over at www.entrepreneurcafe.org and @Rachna for coming up with this great contest and including FoundersGyan as part of it! Rohit will be featured on a special episode of FoundersGyan soon! Congratulations Rohit on a well deserved and closely fought win!